September was an intense month! 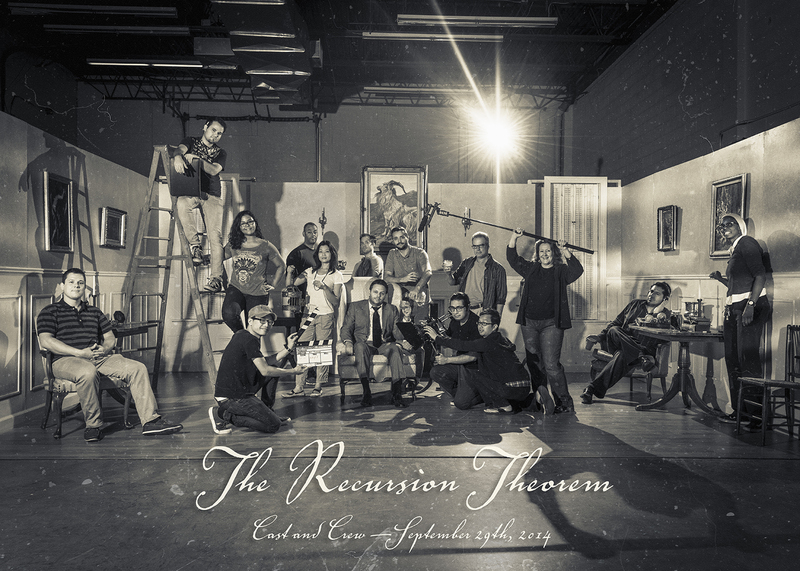 Starting Labor Day weekend we began construction on our set for The Recursion Theorem. 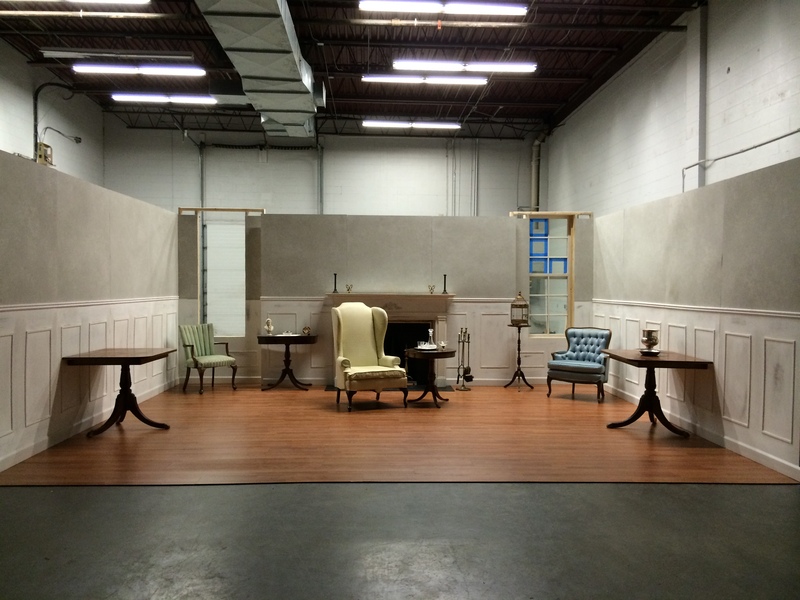 We worked on the set every single day for three weeks to complete the build, leaving only 10 days on our lease for filming the movie and tearing down the set. The good news? We made it! There were many long days and nights of construction and shooting, but the cast and crew stuck with it. In the end, we met all of our goals and captured some beautiful footage and great performances. I think we will all be proud of the end product. Special thanks to our backers – you made this project possible! As always, it was a stressful endeavor with lots of challenges and road blocks that had to be solved quickly and creatively. Not least of which was the re-casting of the role of Dan Everett, due to scheduling conflicts with our original actor, Bill Thomas. However, we were fortunate to have the talented and experienced Dan Franko take on the role – and he really made it come alive. 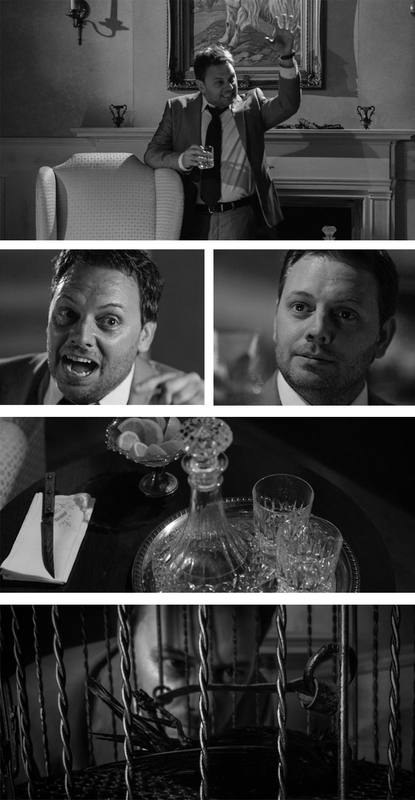 I’m thrilled with his performance and can’t wait to see the first rough cut of the film. We are now officially in post production! Our immediate goal is to catalog all the footage and put together a very rough first cut of the film. We will then make refinements as we go. We are simultaneously working on the music score, thanks to the efforts of our talented composer, Christian Hessler. Over the next few weeks, the raw footage, sound, music and effects will be sculpted into a final narrative that tells the story of The Recursion Theorem. At that time, we will launch a film festival strategy – submitting Recursion to various festivals across the nation and across the globe! We are also in the process of completing our Kickstarter rewards for our backers. Because our production was pushed back, we may run slightly behind on these rewards, but we are doing everything we can to get them to you as soon as possible. You can help us do that! If you pledged $50 or more, you should have received a survey asking your shirt size and mailing address. If you haven’t filled that out, please do so ASAP. In addition, we also need to know if you prefer a black shirt with red ink, or a red shirt with black ink. This option was accidentally left off the survey, so please reply in a message via Kickstarter and inform us of your selection. All answers must be in by Wednesday, October 22nd! If we don’t hear from you, you will by default receive a black shirt in size large (assuming you have provided your address). We hope you will enjoy the rewards and we look forward to having more updates on the post production process for you soon. Thank you again for being a part of the team!